Eddi & Ryce Photograph Second Life: Editorial from Eddi: Second Life 2.0 Are These the Emperor's New Clothes? Editorial from Eddi: Second Life 2.0 Are These the Emperor's New Clothes? Damn! Where did that Prim go? I have to scratch my nose and I lost it! Will the new Second Life, now under development, be based in reality in terms of functioning well for the user? Or are we looking at something that does not serve a real need for current and potential Virtual World enthusiasts? More importantly, is venture capital -fueled funding, ignited by the Oculus Rift boom, distorting intelligent business decisions? Many of us remember the Hans Christian Andersen children's tale of the Emperor's New Clothes. An Emperor was talked into buying a wonderful new suit of the finest fabric. Everyone told him how handsome he looked in it, although he refused to admit to himself that he could not see the clothes. 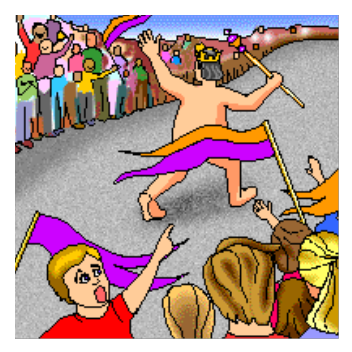 He marched naked in town, showing his citizens his new finery. Everyone cheered him -- even though were afraid to admit they could not see the clothes. When a child yelled out that the Emperor was naked, everyone gasped at the truth. The Venture Capitalists are all cheering Oculus Rift! The Answer to Everything! I will not go so far and call the new Second Life under development, and set for Beta release in 2015, The Emperor's New Clothes. For one thing, I do not have enough information. I believe that it does exist, will be launched, and can finally meet the vision of virtual worlds for the masses. However, I am not sure about some of the proposed technology and applications being hyped for it. I will say that the implications of potential utility seem to be taking a backseat to technology in the search of an application. I will say this. Unless Second Life 2.0 - or any new Virtual World -- is not Oculus-centric, it simply will not attract enough funds to get off the ground. That is the way that VC (venture capital) and acquisition money operates. And right now, Oculus Rift -- with over 100,000 units sold before a stable developers version ships -- is the name of the game. There is a good chance that there will be a base of over 1 million Rift users one year from now if they can get the consumer version out and build them fast enough at $350 each. 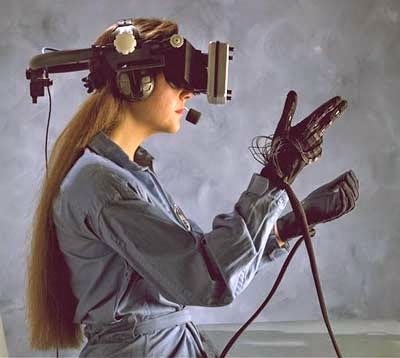 Although I think Oculus Rift and other headsets are important, it will be hard if not impossible to use a keyboard when wearing one (unless I am missing something here). Although this might be fine in an all voice and limited command world, it will be difficult to build and create content and do sophisticated photography in such an environment. Imagine calling out instruction to each and every prim you are manipulating in building a house. Using a keyboard without a headset must be an option in Second Life 2.0. I do not know about a "wearable glove" to activate commands. I am not sure I want to be flaying my arms around and twisting my hands whenever I want to do anything. I like my trackball for this. Carpal tunnel syndrome anyone? Just wait until you use one of these babies for 6 hours end on end. The vision of a pad-powered universe does not make sense for a pervasive virtual world that is non-browser dependent. The do not have the power, or the utility. 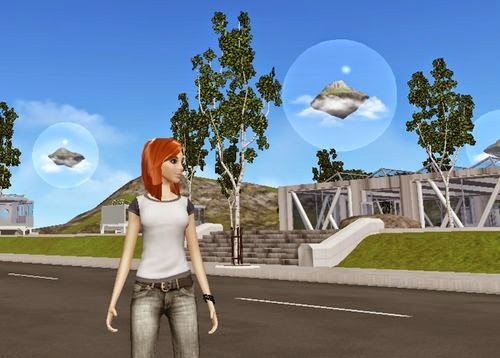 They work wonderfully for a browser-centric virtual world like the defunct Cloud Party. But a browser-centric world will not have the power, pervasiveness, or utility to run Oculus Rift style headsets. They are meant to be used in a mobile environment. Headsets and controllers are meant to be used in more stationary applications. Dangerous Thinking to Avoid -- This is so 2005. Surely it cannot work for Second Life 2.0? 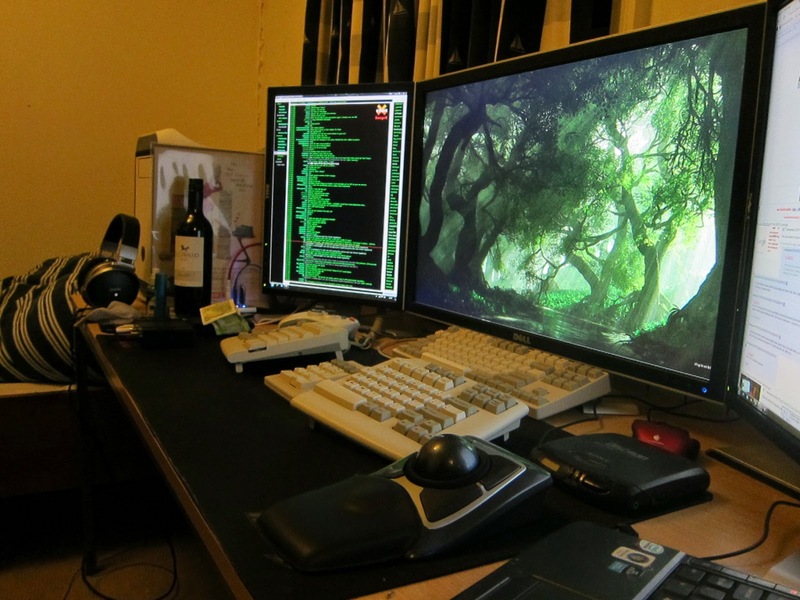 For many of us, especially artists and content creators, the optimal Virtual World will continue to be run on setups like the one I show above-- not wearable, with big screens, keyboards, and limited motion trackballs or mice -- not highly complex wearable gloves and body suits. Sure, all these are nice options. So are headsets. But they are not optimal for every time you are in a virtual world. Whatever Second Life 2.0 is, or High Fidelity for that matter, I hope we can enjoy them on traditional gamer platforms-- and not have to wear devices that should be optional if we wish, but not a completely necessary part of the virtual world experience. This is why I think Second Life as we know it now -- with improvements -- is going to be around for much longer than many of us realize today. Very down-to earth post, Eddi. Although there is great enthusiasm for some of these new technologies, it's stupid to ignore that we're human beings and we need to have control of our faculties most of the time. We're used to using SL while monitoring our real life existence. I can't imagine it's wise to spend hours in a virtual world wearing a face mask while you're oblivious to the fact that your neighbors row house is on fire or that your partner has choked to death on a cheeto while watching TV across the room. I wonder how long those gloves are going to be fun when you can't eat or drink or smoke or blow your nose or scratch your balls without displaying it for everyone in your little virtual world?